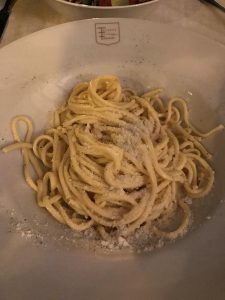 When I was in Rome last week I finally got to have a taste of Cacio e Pepe in Italy. 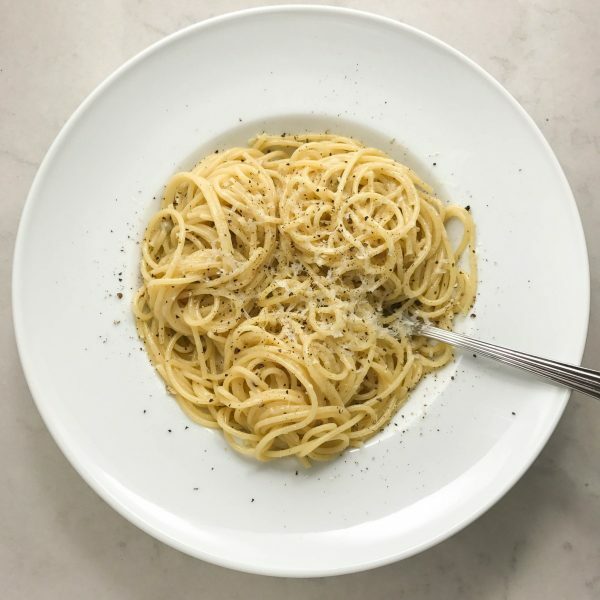 Cacio e Pepe is a pasta dish with cheese and pepper. It sounds very simple and tastes quite good. If you’ve never had it, think of it as a much lighter version of Alfredo. But with fresh cracked pepper for an extra kick. The place I ate Cacio e Pepe at was Taverna Trilussa. Taverna Trilussa is known for good Roman cuisine. We had two dishes while we were there. 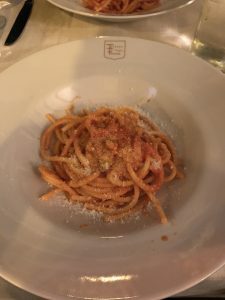 Cacio e Pepe on the left and Bucatini all’ Amatriciana right. Both were good. If you are ever in Rome, I would recommend checking this place out. You need a reservation since it gets busy and many people were turned away without one. I am happy to report that the Cacio e Pepe I put together was very similar in flavor, texture and overall tastiness! I originally learned of this dish through Seriouseats.com. There was a video posted of Kenji making this and it seemed extremely easy. So I decided to give it a go. This recipe has been adapted from that video. Here is a new video I made following my recipe, but using a 5 peppercorn blend of pepper! 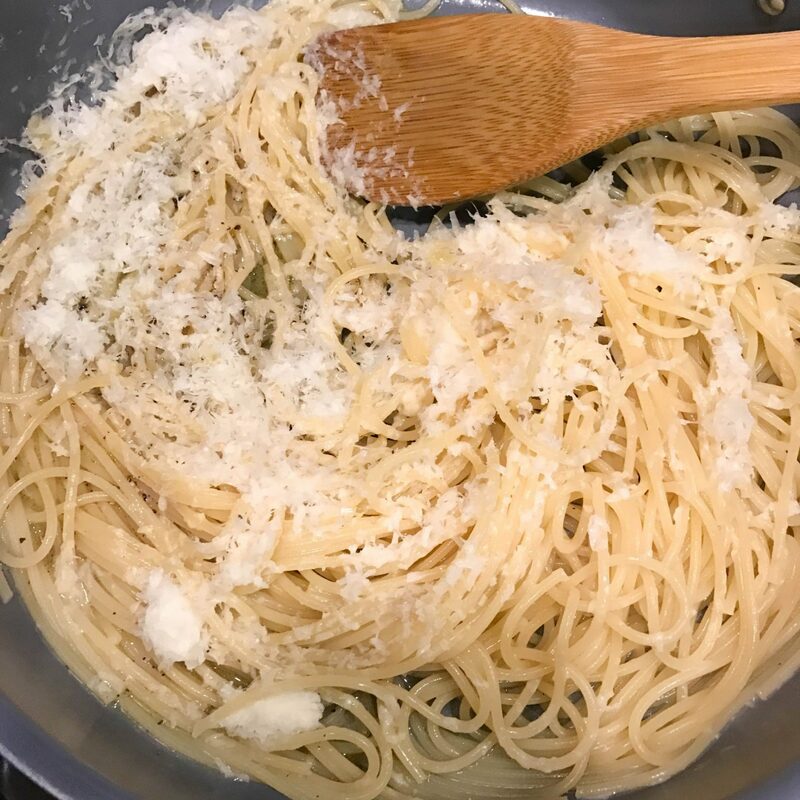 In case you missed them, here are some of my other pasta recipes! 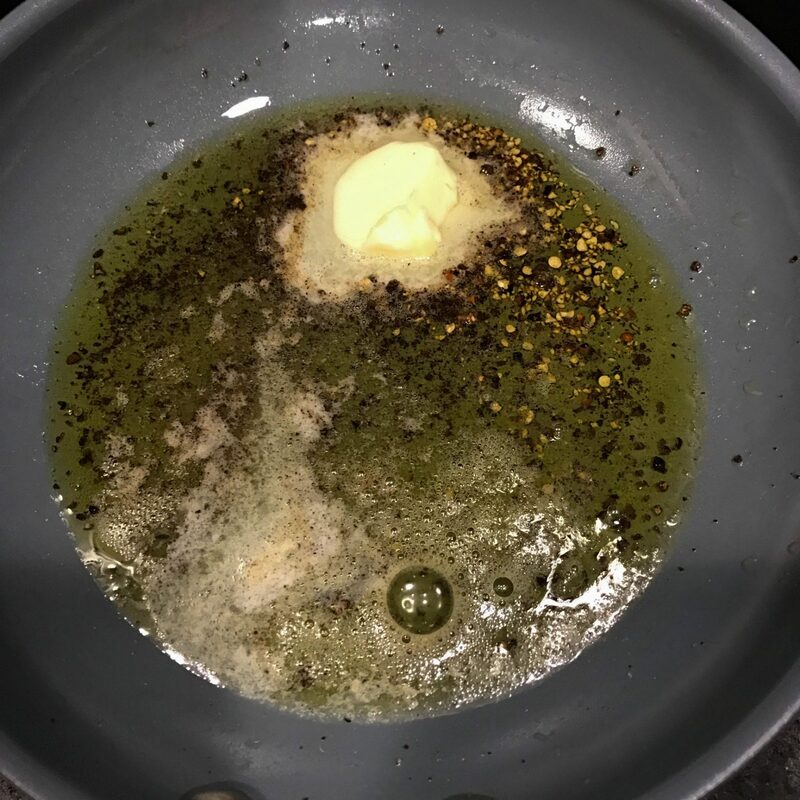 Heat 5 tablespoons olive oil and a teaspoon of black pepper in a skillet over medium heat until ingredients are fragrant, After about 1 minute remove from heat. 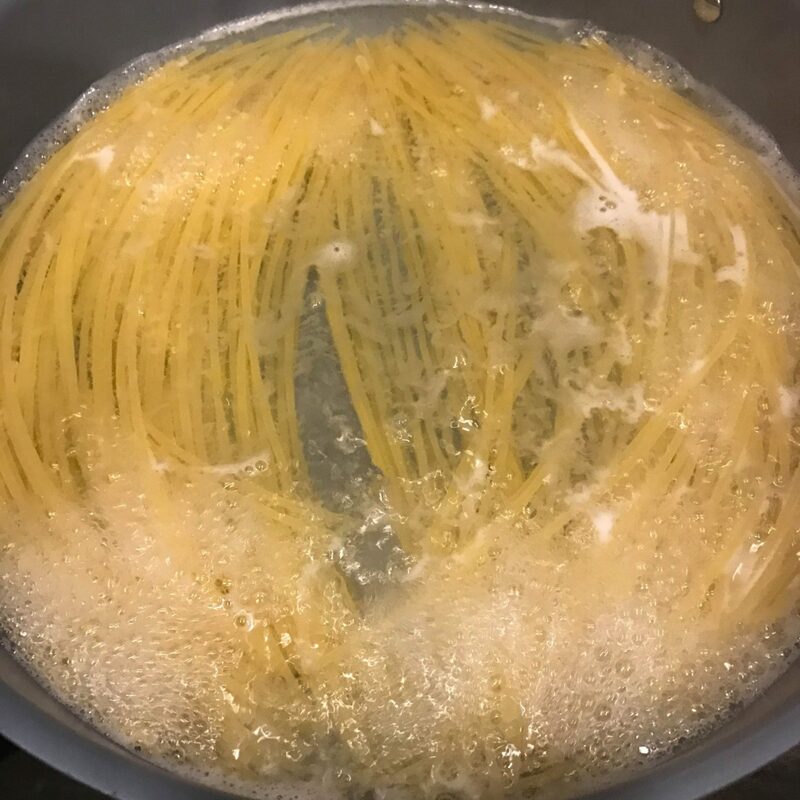 Add spaghetti to a large skillet and cover with water. Season with a small pinch of salt, then bring to a boil over high heat until spaghetti is al dente. Drain pasta and reserve at least 1/4 cup pasta water. Add additional pasta water to thin if necessary. Top with more cracked pepper and cheese. Serve immediately. Thank you Emily, it is really easy, hope you get a chance to try it!! You had me at “fresh cracked pepper”!!! That pasta sounds so delicious and you getting to check out Rome sounds like it must have been a blast. Great post!! !